I’m Gail Love Schock, a family Celebrant, expert in ceremony and events, InterFaith Minister - soon to be Reverend (July 2019), based in glorious West Sussex, England. In my experience, there is no limit to what we can create a ceremony or ritual for, to mark occasions, celebrate loved ones or strengthen community. The most common would be for me and you to work together to shape a baby naming experience or wedding, to bless a relationship or indeed to honour the passing of a loved one. My role as your Celebrant is to support you in celebrating and honouring poignant moments across your life and the life of your family. I have conducted all manner of ceremonies and rituals including welcoming babies into the world, marrying people, renewing vows and saying farewell to loved ones. In addition to the more traditional services I frequently conduct unique, and increasingly popular ceremonies, such as blessing hotels to commemorate their opening, launching new products for brands and businesses, pet naming and funeral services, positive divorce celebrations, conscious uncoupling and welcoming blended/reconstituted families together, for example divorcee’s or widowers remarrying. The joy of working with a celebrant is anything is possible when it comes to your vows and how you want your day to unfold; you can celebrate at home, your favourite tree house, hotel, beach or maybe from the inside of a plane before you dive back to earth to begin married life! I will work with you to shape and write the service, ensuring you write the vows you wish to say to share with your beloved. I am here to suggest music, readings or poems to reflect the personality of your relationship and love. Each ceremony is bespoke and individually written (designed) for you. You may wish your service to be free of religion or there may be elements of your religion, faith, tradition or spiritual practice such as favourite hymns, songs, blessings, adornments, symbolic elements, ritual or prayers you want to include. It is all welcome. Integrating ritual elements such as a handfasting, writing letters to be opened in the future or jumping the broom are golden memory filled nuggets in your day. Blended faith ceremonies are increasingly popular, highlighting the paths walked by you the couple. Together we will honour your love for one another, for life and for the forthcoming adventures. In 1994 The Laws in the UK changed, enabling other licensed venues other than registry offices to be used for civil marriage and civil partnership ceremonies. Please note *** For the marriage contract to be legally binding you have to attend to this either at a registry office or with a registrar in attendance to your wedding day. 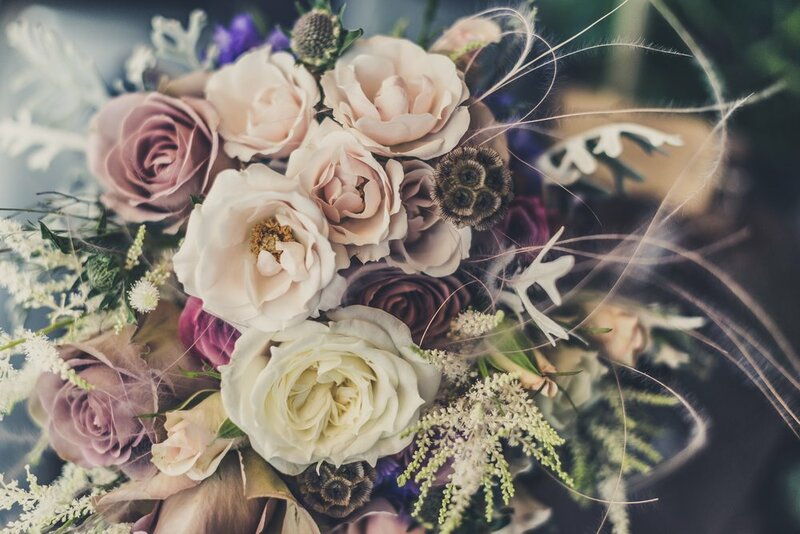 You can have a celebrant and a registrar present for your ceremony, meaning both the legal structure and ceremony are fully supported and legally binding. It is only the *Declaratory Words and the **Contracting Words that have to be said in a Registry Office or licenced venue, in order for your marriage to be recognised in law and for a marriage certificate to be issued. "I do solemnly declare that I know not of any lawful impediment why I (your name) may not be joined in matrimony to (partners name)"
These words are the only legal requirements for marriage, as well as formally identifying yourselves to the registrar and signing the marriage/civil partnership register in front of two independent witnesses and a registrar. I work with couples to support you in preparation for sacred connection and union, an opportunity to affirm shared values, celebrate differences and future proof the complexities which come from growing side by side, sometimes at different rates. To arrange this additional service please contact me. Welcoming a child to our life is such a wonderful way to affirm joy and commitment to that individual, it’s a delight to create a ceremony which includes everyone important to you. I’ve welcomed children into the world with married couples, unmarried parents, single, adoptive, bonus (step), parents of all faiths, traditions and religions and sexuality. There is a real shift in the way parents and soul guardians welcome little ones into the world these days, with people often wanting to celebrate at home, or in a favourite venue, park or place instead of church. My role is to support and cherish you in designing something loving to celebrate your children, who they are and what they bring to the world. This can be very special when bringing children together from different families, (particularly lovely if you are fostering or adopting). A ceremony helps connect the bond even more deeply so all bonus children, parents and family feel included. I can support you to create a ceremony or ritual to commemorate the loss of a child at any life stage, shaping a bespoke ceremony to support the transition of this experience. As your celebrant I will guide you through a clearing ceremony and ritual to honour the completion of a current type of relationship, particularly important when there are children involved (of any age). Conscious uncoupling and positive divorce services hold space for a healthy ending, blessing both parties on their new journeys, acknowledging grief for what was originally intended and celebrating a love which honours individual growth and development. It is possible to hold a ceremony, where many of the original wedding guests may attend to complete this cycle, honouring the couple, loyalty and friendships. Funerals are changing. They are still delivered with reverence and kindness, sharing an opportunity to experience grief, but there is also a space for the healing power of shared stories and laughter. There is a balance between celebrating life and mourning, together we will co-create space for all. Focusing the service on the life of the departed person is a beautiful way to remember them with respect, dignity and fondness. Where possible I visit the family of the deceased learning what’s meaningful to you including favourite memories and stories, values and adventures of the recently passed. This is shaped into what you wish to be shared in the service, written to embrace the most important parts of life to you and yours. This is a gentle process holding your memories sacred. An Opportunity to Remember | This is a piece of music which allows everyone to take a moment to remember and reflect upon the person who has died. Recessional Music | This is the piece of music which will play as you and your guests leave. This can be a little more upbeat if it feels appropriate to you. To find out more about my Celebrant services get in touch. To find out more about my parallel work as a spiritual mentor, teacher and retreat leader click here.